BUTUAN CITY, Jan. 18 (PIA) - The provincial government of Agusan del Norte recognizes several local government units (LGUs), schools, personalities and offices that have greatly contributed to the fulfillment of the directive of President Rodrigo Duterte’s administration towards honest, transparent and good governance. 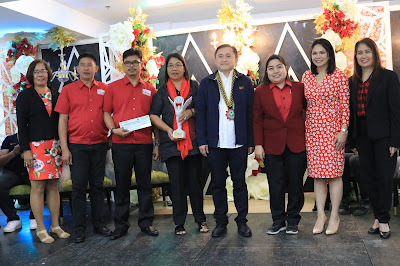 During the recently held Accelerating New Dimensions on Good Governance and Excellence in Local Leadership (ANGELL) awards here, where former Special Assistant to the President (SAP) Bong Go served as the guest of honor and speaker, the local government unit of Las Nieves received the award as Disaster-Resilient LGU for the year 2017 and 2018. According to Jover Manliguez, Municipal Disaster Risk Reduction and Management Officer, aside from what has stipulated in the Philippine Disaster Reduction and Management Act, their LGU has also allocated a budget for the conduct of Community-Based DRR Trainings in the barangays. This is to intensify capacity-building efforts for the local residents. Such activity is done every year, along with the conduct of the localized search for disaster-resilient barangays. 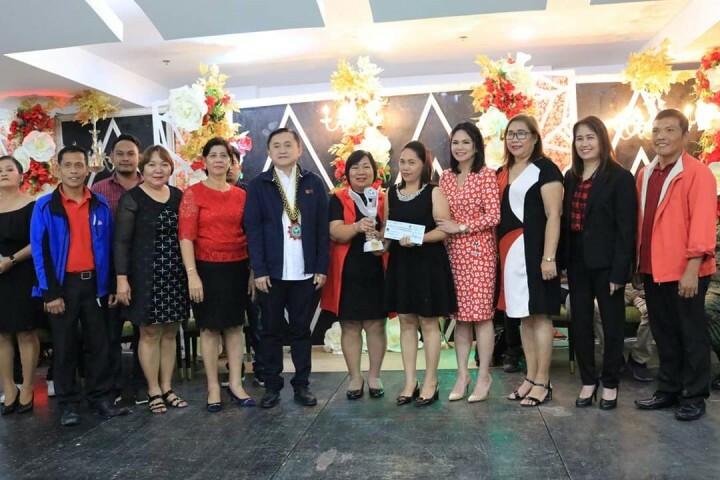 Also, the Cabadbaran South Central Elementary School (CSCES) in Cabadbaran City bagged the award as Best Ecological Solid Waste Management implementer for the year 2018. Christina Abecia, CSCES ecological solid waste management coordinator, said proper waste segregation and recycling of solid wastes are just some of the many ways that they do in their school. Abecia added that through the ANGELL awards, they have become motivated to do more and enhance their program on solid waste. BUTUAN CITY, Jan. 17 (PIA) -- Winrock International and United States Department of Agriculture (USDA) are set to conduct the "Cold Chain and Food Loss Summit + Expo" on January 24-26, 2019 here. This three-day event will use mix channels which include plenary discussion, open forum, talk show, theater performances, information and education campaign, individual and group contests and booth exhibits. The event aims to bring together different value chain actors in food production industry, policy-makers and consumers alike in the discourse of giving value of food through improved techniques and cold chain technology. It also has the objectives to raise awareness and understanding on how food loss and waste is linked to national level issues on food security, climate change and food safety; to introduce cold chain technology innovations, costs involved and benefits, and possible financing options for improved post-harvest handling and storage and food safety and quality; and to provide the platform to coordinate planning and policy development to facilitate regional level cold chain system improvements. 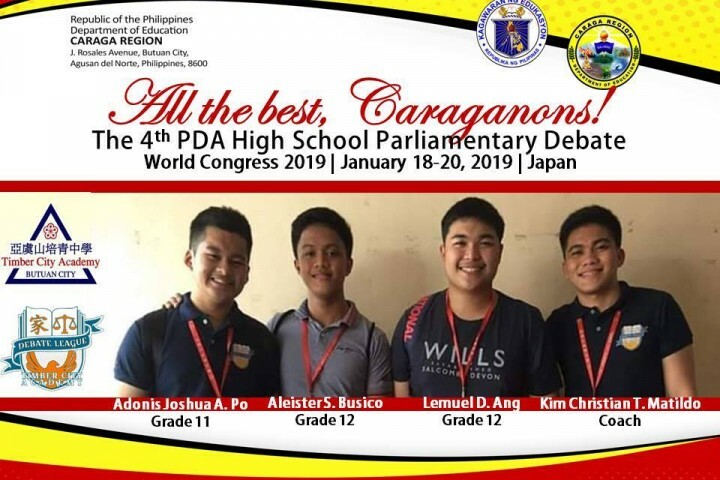 BUTUAN CITY, Jan. 18 -- A team of debaters from Timber City Academy (TCA) - Debate Society here will fly to Japan on January 17 to compete at the 4th PDA High School Parliamentary Debate World Congress 2019 in Japan on January 18 to 20, 2019. 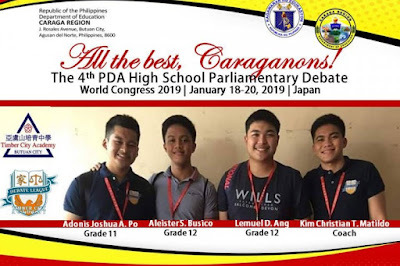 The team composed of Senior High School debaters: Adonis Joshua A. Po (Grade 11), Aleister S. Busico (Grade 12), and Lemuel D. Ang (Grade 12), under the tutelage of Kim Christian Tutor Matildo, qualified to the said international debate congress and competition after they won at the 11th Visayas - Mindanao Debate Championship on August 24-26, 2018 held in Butuan City. They will represent not only Caraga but the entire Philippines as well. Meanwhile, Ang is Department of Education Caraga's representative to the 2019 Festival of Talents - PopDev Debate in Dagupan, Pangasinan on January 28 to February 1, 2019. LUNGSOD NG BUTUAN, Enero 16 (PIA) -- Sa ginanap na awarding ceremony ng probinsya ng Agusan del Norte sa pamamagitan ng ANGELL awards o Accelerating New Dimensions on Good Hovernance and Excellence in Local Leadershp, kinilala ng probinsya ang mga local government units (LGUs), eskwelahan, personalidad at mga opisina na nakatulong upang maisulong ang maayos na gobyerno at pamamalakad nito. Sa taong 2017 at 2018, isa ang LGU ng Las Nieves kung saan ay kinilala sa kanilang pagiging disaster-resilient LGU. Ayon kay Jover Manliguez, municipal disaster risk reduction and management officer, maliban sa nakasaad sa Republic Act 10121 o ang Philippine Disaster Risk Reduction and Management (DRRM) Act, ang LGU ay naglaan din ng budget para sa mga community-based DRR trainings sa mga barangays upang magkaroon ng kapasidad ang mga taong nakatira dito at taon-taon gumagawa din sila ng localized search for disaster-resilient barangays. 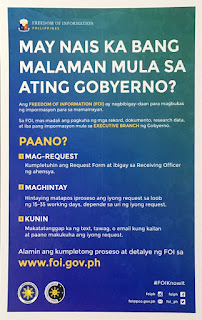 Ayon din kay Felisa Curaza, punong barangay ng Poblacion sa bayan ng Carmen kung saan nakatanggap bilang best performing anti-drug abused council, iba’t ibang mga aktibidades at paraan ang kanilang ginagawa upang mabigyang pansin ang kanilang mga nasasakupan lalo na ang mga kabataan. Matatandaang ang bayan ng Carmen ay ang kauna-unahang bayan na naideklara ng PDEA at PNP na drug-free community sa probinsya. agement coordinator, pagkakaroon ng proper waste seggregation at pagrerecycle ang ilan lamang sa kanilang mga ginagawa sa paaralan. Ayon pa sa kanya, dahil sa ANGELL awards, namotivate din sila upang mas maging maayos pa ang kanilang programa sa solid waste. 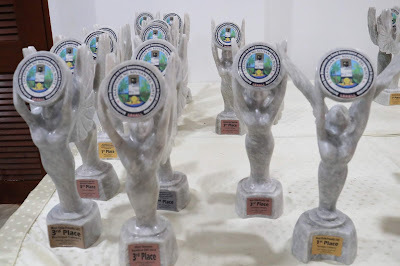 Ilan din sa nga awards na ibinigay ay ang most child-friendly LGU, best barangay peace and order council, best performing barangay, best herbal garden, outstanding lupon tagapamayapa, barangay nutrition scholars, most functional nutrition council, best performing municIpal assessors office, at local legislative award. Ang awarding ceremony ay dinaluhan ni dating SAP Bong Go na nagbigay mensahe at hinamon ang mga LGU officials na lalo pang ayusin ang kanilang mga pamamalakad upang mapaayos ang buhay ng kanilang mga nasasakupan. BUTUAN CITY, Jan. 18 -- A map is essential in planning for agricultural development. 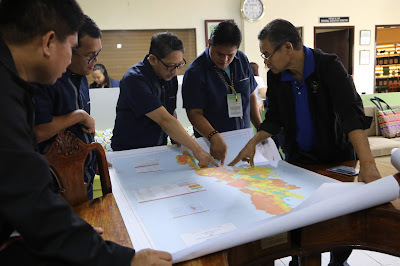 Thus, Agriculture Secretary Emmanuel Piñol directed the Bureau of Soils and Water Management (BSWM) to conduct a nationwide soil mapping for soil fertility and suitability. In Caraga Region, BSWM has already come-up with soul suitability map for rice in five provinces and initially includes other commodities. Senior Agriculturist Efren Fabula of BSWM and Soil and Water Area coordinator Marcelo Dayo presented to DA Caraga Regional Executive Director Abel James I. Monteagudo the result of soil mapping for the Province of Dinagat Islands (PDI) recently. The map which was eventually turned-over to PDI contains soil suitability on ten various commodities such as coconut, fruit trees, banana, coffee, cacao, pineapple, root crops, corn, vegetables, and rice. Monteagudo lauded BSWM for coming up with the map as it is a great help for the LGU development planners and farmers as well. “We owe BSWM for this very valuable document since it could serve as a basis to ascertain what are the interventions needed in a particular area to develop agriculture,” he said. Through the map, farmers would know what particular commodity is suitable in their specific area and the needs for fertilization. 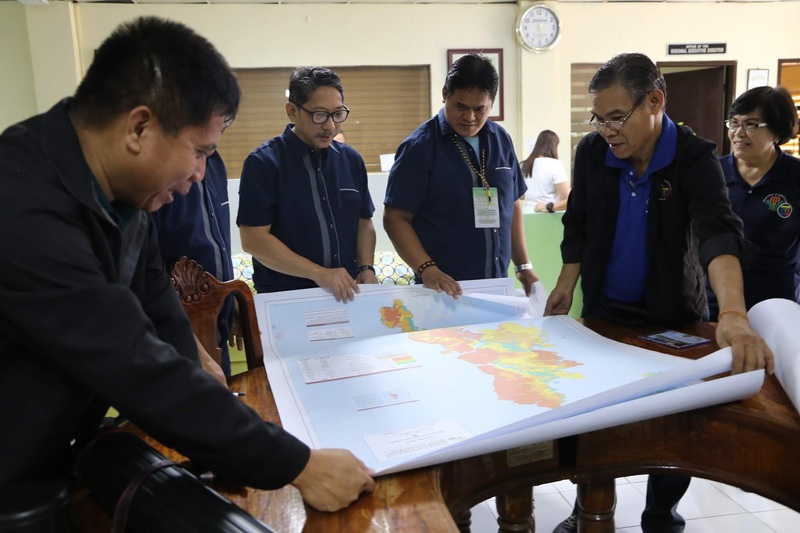 “I hope that the respective LGU will maximize the use of the said map as it is so important especially in guiding the farmers,” the director said. Farmers can access the said map through their respective LGU and or through BSWM website. Under the administration of President Rodrigo Duterte, ten basic foundations of sound agriculture and fisheries programs were identified wherein a national color-coded agricultural guide map is on top of the list. 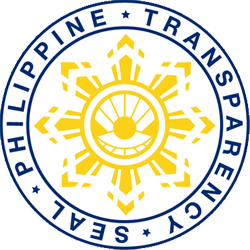 Other priorities include national food consumption quantification study; institutional restructuring and paradigm resetting for the Department of Agriculture and its officials and employees; intensive technology updating and sharing, modernization and mechanization program; and easy access financing program for farmers, fishermen and agriculture and fisheries stakeholders, or known as production loan easy access (PLEA).